Allweiler® and IMO®. The world&apos;s most trusted three-screw pumps. that&apos;s made them an industry standard. Our reputation is over 90 years strong. For nearly a century, companies like yours have depended on our pumps for increased uptime, less hassle and a lower cost of ownership. Three-Screw Solutions You Can Count On. 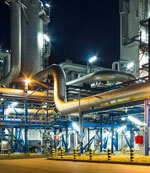 We offer a wide range of three-screw pumps to fit your specific needs. To get product details, case studies and more information on the CIRCOR ALLFUEL Series pump, click the button below. 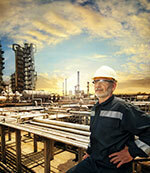 Our reliable and efficient three-screw pumps are excelling in a number of industries. No matter the market, no matter the application, we have the right three-screw pump solution for you. Whether it&apos;s upstream, downstream and anything in between, our three-screw pumps set the standard for the oil and gas industry. It takes a special brand of pump to stand up to the unique challenges of the open seas and our best-in-class three-screw pumps have proven to be more than up to the task time and time again. With their ability to handle a wide range of fluids in a variety of flows and conditions, our three-screw pumps are proving to be a real asset in a number of industrial applications. Want to find out more about our three-screw pump models and how they apply to your situation? Fill out the form to the right to get in touch with a CIRCOR expert and discover the perfect pump for your specific operation. Or get product details, case studies and more information on the CIRCOR ALLFUEL Series pump, by clicking the link below. For over 40 years, some of the worst conditions in Canada haven't stopped CIRCOR pipeline pumps. Information for ALLFUEL Series pumps. EMTEC three-screw pumps excel at moving chips and particles away from cutting surfaces both precisely and efficiently. Allweiler OptiFix Exzenterschneckenpumpen sind so konzipiert, dass sie in einem Bruchteil der üblichen Zeit demontiert und wieder zusammengebaut werden können. 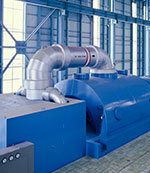 Information for SM Series pumps. Information for SN Series pumps. Information for Trilub Series pumps. Information for 3D Series pumps. Information for 3E Series pumps. Information for 3G Series pumps. Information for 4SFC Series pumps. Information for 4VKC Series pumps. Information for 6D Series pumps. Information for 6U/6T Series pumps. Information for 8L Series pumps. Information for 12D Series pumps. Information for 12L Series pumps. Information for C323F Series pumps. Information for C324A Series pumps. Information for Elevator Series pumps. Information for T324N Series pumps. Information for UCF Series pumps. Information for UCG Series pumps.